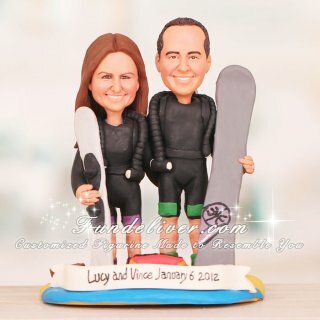 This is a completely customized scuba snowboard and snow skis sports theme wedding cake topper ordered by one of our customers. They would like the bride and groom figurine to be wearing black shorty wetsuits, green and purple scuba tanks and fins without any mask. They both have one hand on each other’s behind. In the bride’s other hand is her snow skis and in the groom’s other hand is his snowboard. 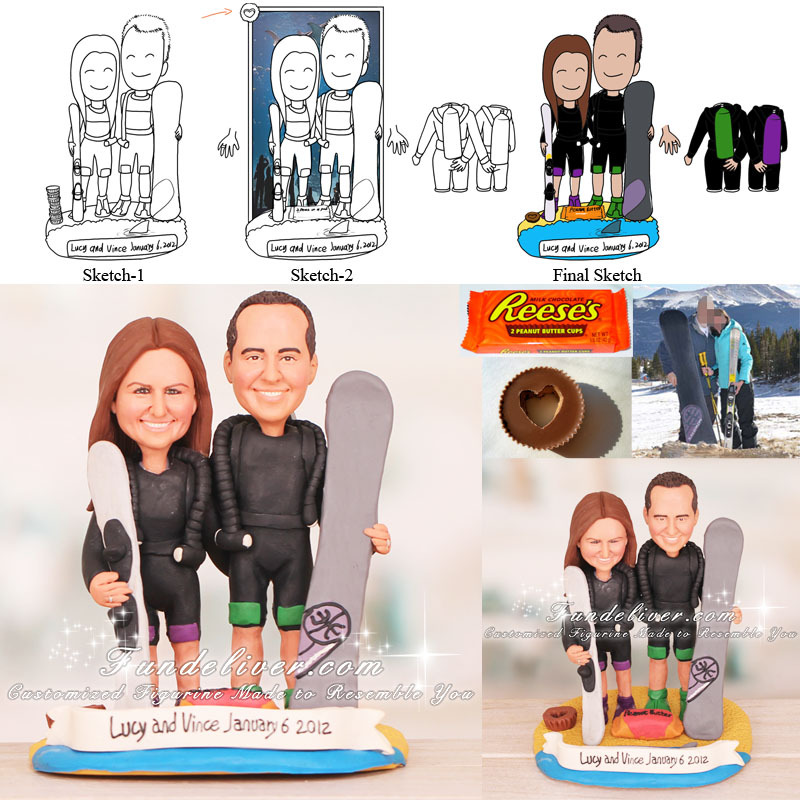 They would like the couple figurine to be standing on a beach and have a shark fin near the groom, a small stack of Reese’s Peanut Butter cups (orange and yellow wrapper) in the middle and a peanut butter cup with a heart shaped hole near the bride. They were engaged while diving in a shark tank and the sign he made had a picture of a peanut butter cup with a heart shaped hole. That is why they want to include these Peanut Butter cups. There is a banner in the front, saying “Lucy and Vince January 6, 2012”.